Bavaria 0.0% Lemon is a non-alcoholic malt drink, brewed with natural mineral water and the natural aromas of lemon. A refreshing and natural lemon flavor with a pleasant sweetness, which makes Bavaria 0.0% Lemon a fruity, summery refreshment. 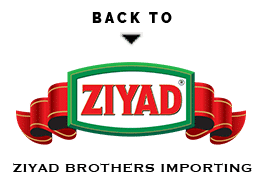 Please contact Ziyad Brothers to receive info, updates on Bavaria, for the latest information and news please sign up our email list now.